On April 5, we launched our first MBK Community Challenge Competition. The purpose of the Competition is to invest in several cities, counties, and Tribal Nations that accepted the MBK Community Challenge, that are making steady progress, and that have the potential to be models for what it takes to substantially improve life outcomes for boys and young men of color. Through this pilot program, we are responding to the key needs MBK Communities have shared with us, including more opportunities to find resources to support their work, more examples of what works, and a more ​robust network where they can learn and share. We will invest more than $5 million nationwide to help MBK Communities scale or replicate impactful solutions to reduce youth violence or grow the pipeline of effective mentors, all while helping to strengthen local infrastructure and overarching MBK strategies. The application closed on May 24, and we are elated with the response. We’ve received a significant number of applications across the continental United States and Puerto Rico. These applications also included clear geographic representation throughout the country, as we’ve received multiple applications from each and every region of the United States. Across all three application types (National Impact, Chicago Impact, and Chicago Seed), a majority of the proposals elected to take a dual programmatic focus that included both youth violence prevention and mentoring strategies. We are grateful to all those who have engaged in the process — whether you completed an application, participated in a webinar, or attended an in-person TA session. Over the next few months we will review the applications and announce the winners in Fall. Stay tuned for updates! MBK Communities, to ensure you receive updates on upcoming opportunities to engage with MBK Alliance, please take a few minutes to update your contact information by filling out this form. My Brother’s Keeper Alliance Roundtable with Congressman John Lewis — To honor the legacy of Dr. Martin Luther King, Jr., 50 years after his assassination, President Obama and Congressman John Lewis participated in an MBK Alliance roundtable with students from Ron Brown College Preparatory High School in Washington, D.C. on April 4. During the roundtable, President Obama, Congressman Lewis, and Ron Brown students discussed how Dr. King’s vision remains relevant in today’s world. The students shared how they are working to create positive change in the spirit of Dr. King and the mission of the Obama Foundation and MBK Alliance. Ron Brown College Preparatory High School is Washington, D.C.’s only all-male public school and was launched in 2016 as part of D.C.’s response to the My Brother’s Keeper Empowering Males of Color program. Take a break​ today to watch part of the event and be inspired by this powerful conversation. 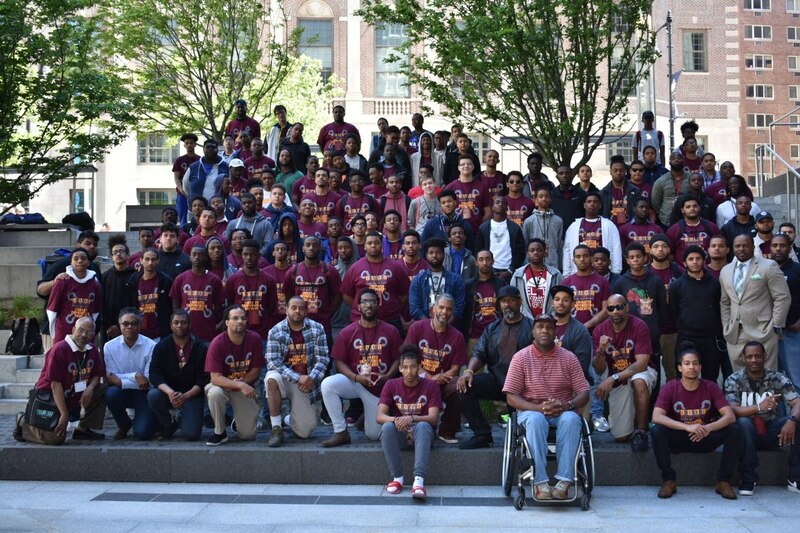 From May 18-20, the Brotherhood Crusade, a 2017 MBK Alliance grant recipient and LA MBK partner, partnered with the Why Can’t We Make a Difference Foundation to host the 11th Annual Brother to Brother: Male by Birth, Man by Choice Retreat. 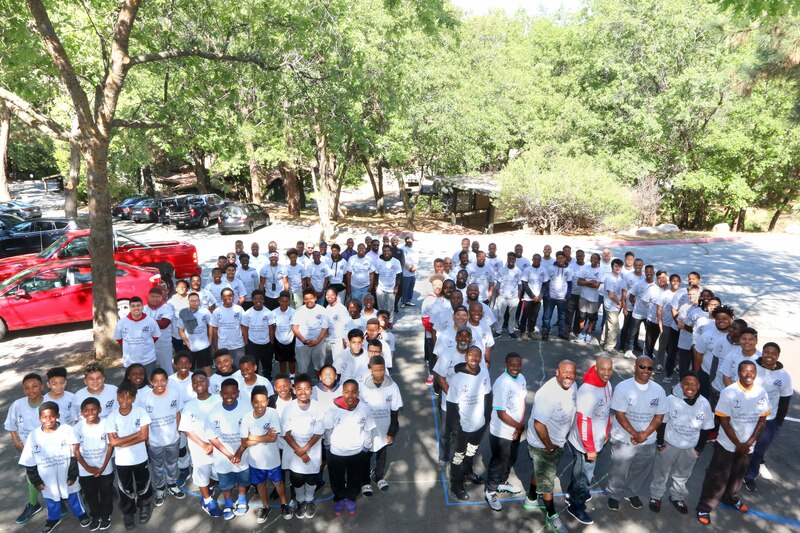 The outdoor retreat paired 100 eight to-24 year old boys and young men of color from various underserved South Los Angeles County communities with 20 adult mentors in a setting that facilitated cross-learning, introspection, personal development, and mentoring. These are just three of the many comments made by boys and young men of color after the weekend event. Founded in 1968, the Brotherhood Crusade’s principal mission is to help individuals overcome the barriers that deter their pursuit of success in life. In the 48 years since its founding, Brotherhood Crusade has provided human and social services to more than 100,000 South Los Angeles residents annually. Brotherhood Crusade Youth Success Story — Importantly, the Brotherhood Crusade’s approach has caused young men to transform their lives as well as those of others in their families and members of their community. Recidivism rates among participants who are involved in the probation system dropped from a Los Angeles County average of 83 percent (for this population of youth) to less than three percent. 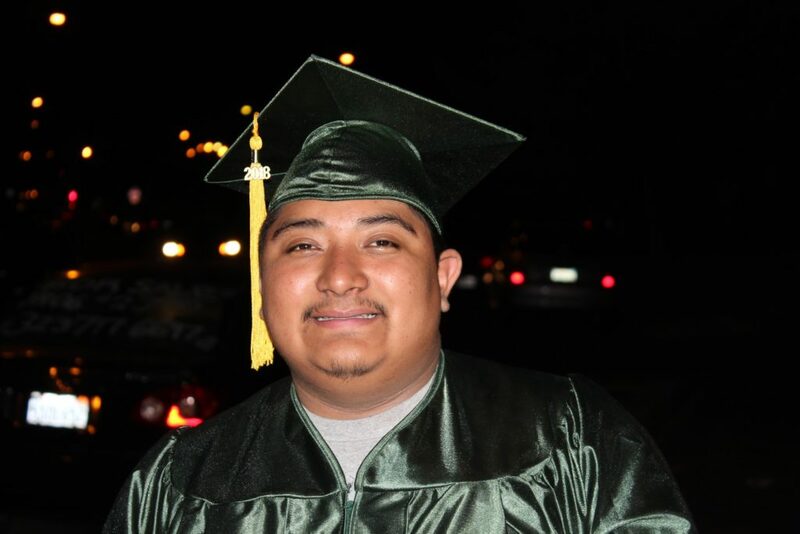 Meanwhile, graduation rates among participants increased from an average of 68 percent to 96 percent, the number of young men securing internships or sustained employment increased from 13 percent to 98 percent, and the number of young men enrolling in college nearly quadrupled. New York State My Brother’s Keeper Symposium — In April, we joined New York State (NYS) MBK for their second statewide Symposium. 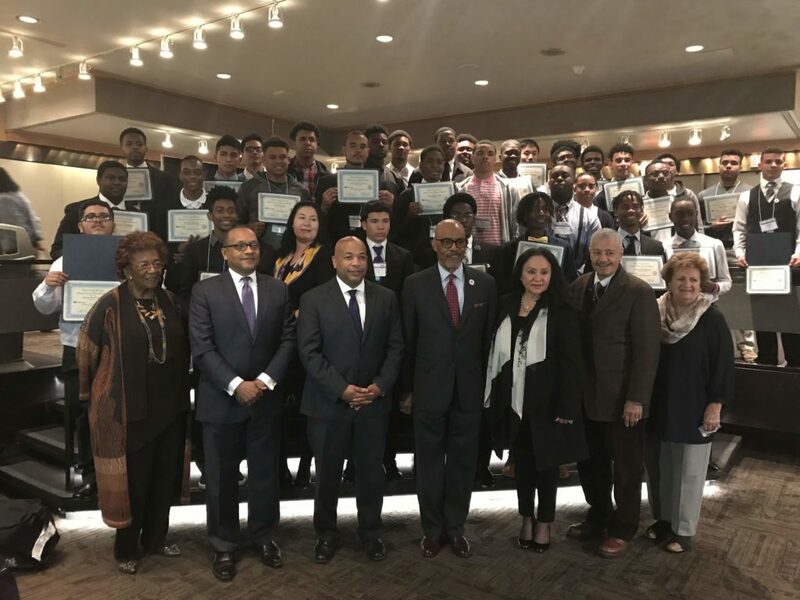 More than 600 students, parents, educational leaders, and citizens from across New York State gathered to share lessons, learn new practices, get inspired by state and national visionaries, and induct the inaugural class of NYS MBK Fellows. The New York State My Brother’s Keeper Community Network includes more than 20 member communities and has awarded tens of millions of dollars to more than 40 communities working to improve outcomes for New York’s boys and young men of color. 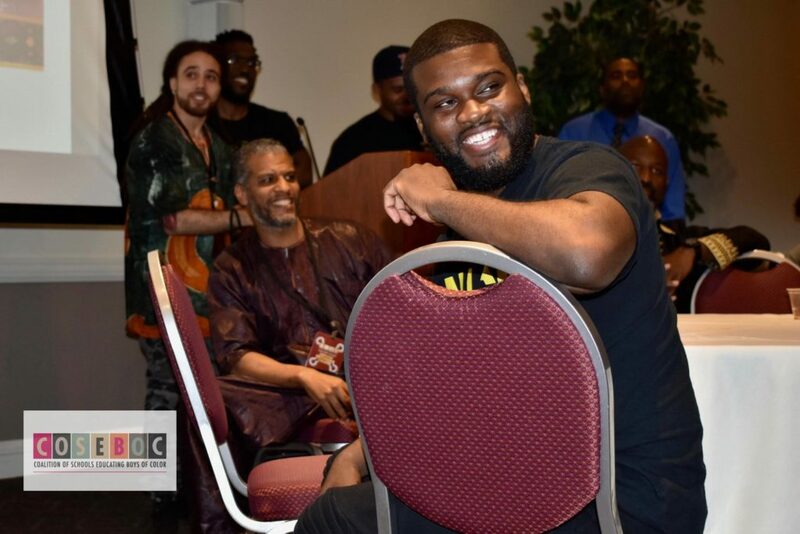 The 2018 COSEBOC Gathering of Leaders — Liberated, Empowered and Educated — For 12 years the Coalition of Schools Educating Boys of Color has sustained a powerful mission to inspire, support, connect, and strengthen school leaders dedicated to the affirmative development of boys and young men of color. To advance this agenda, the coalition convenes educators, policymakers, and community leaders at its annual “Gathering of Leaders.” This year’s gathering in Boston, which we were proud to attend and which was held May 29-31, brought more than 1000 attendees together to learn and understand what must be done to liberate, empower, and educate all of our boys and young men of color to high levels of school, career, and life success. With support from cohosts, the Boston Public Schools, and MBK Boston, the gathering featured more than 60 powerful workshops, school visits, and dynamic guest speakers including Dr. Gloria Ladson-Billings, Dr. Chris Emdin, Roberto Rivera, and Barrington Irving. 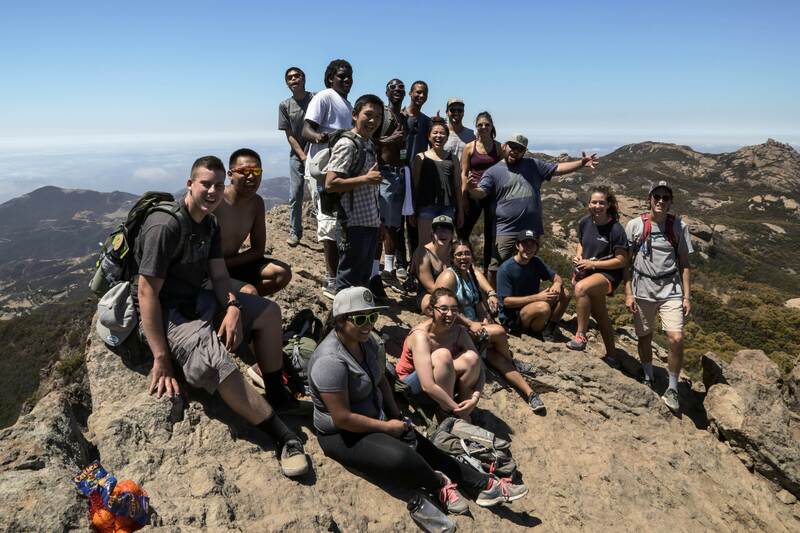 Fresh Tracks — In 2016, a group of environment organizations and outdoor retailers created an innovative initiative called Fresh Tracks, inspired by the Obama Administration’s commitment to connecting more young Americans to the outdoors. My Brother’s Keeper and several MBK Communities became core partners from the beginning in response to President Obama’s reflections from his visit to Alaska, where he noted more young adults from urban areas could benefit from the transformative power of nature. Today, MBK Alliance is proud to continue its work with Fresh Tracks, now a program of the Center for Native American Youth at The Aspen Institute, focused on bringing together 18-to 25-year-olds from urban and indigenous communities for cross-cultural leadership development in settings that offer access to the great outdoors. MBK Alliance and MBK Boston joined the Fresh Tracks Northeast training this past June. Conan Harris, Executive Director of My Brother’s Keeper Boston and Deputy Director for the Mayor’s Office of Public Safety shared this reflection about the impact of Fresh Tracks: “Fresh Tracks is the tool by which MBK leaders are being empowered to address challenges of inequality through community driven solutions.” Fresh Tracks is now accepting applications for upcoming training expeditions in California and the Midwest. Reimagining Justice Conference — On May 30, MBK Alliance Executive Director Michael Smith delivered a keynote address at “Reimagining Justice 2018: Outside In: Perspective on Criminal Justice Reform from the Inside of Cheshire Correctional Institution” hosted by Connecticut’s Governor and First Lady, Dannel and Cathy Malloy. 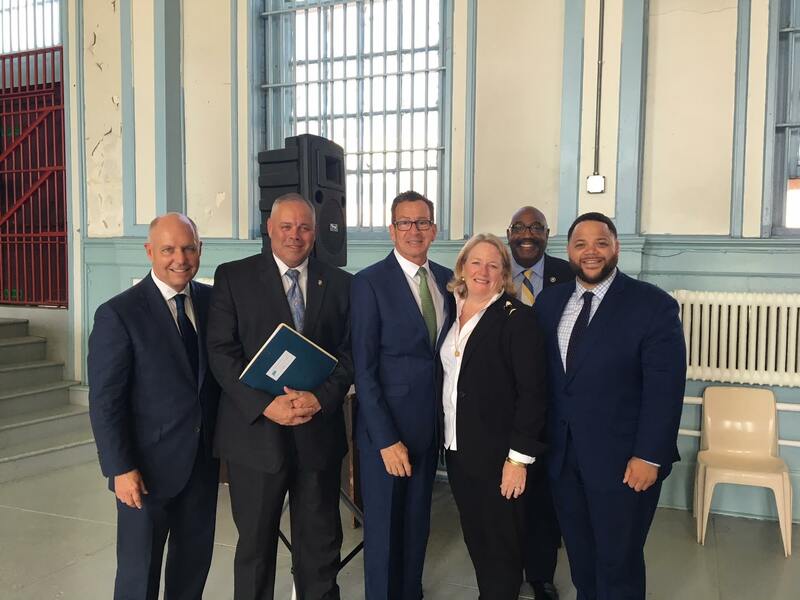 The conference brought together leading criminal justice professionals from Connecticut and across the country for a discussion on the human impact of incarceration and the search for solutions that provide second chances while reducing crime. Conference participants toured the maximum security facility to meet incarcerated individuals and learn about what’s working and what’s needed to help. A highlight of the conference was visiting Cheshire’s T.R.U.E. Unit, which houses young men between the ages of 18-25 with the goal of preventing young adults who have committed nonviolent crimes from returning to prison. Connecticut has been a testing ground for forward-thinking, evidence-based policies that have raised the age for what constitutes a juvenile in the courts, reformed harmful money bail systems, and reduced penalties for non-violent drug offenses. You can watch remarks and panels from the convening here. 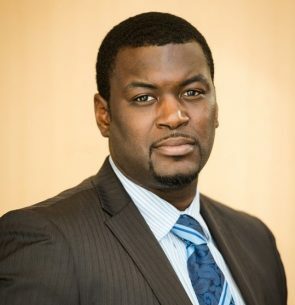 MBK Alliance team is thrilled to welcome W. Cyrus Garrett as the Manager of our MBK Communities team, which serves as a key partner in communities, working to implement action plans, connect resources and interventions, and achieve near-term impact focused on building safe and supportive communities for our boys and young men. Previously, Mr. Garrett was Executive Director of New York City’s Young Men’s Initiative, the nation’s most comprehensive municipal strategy tackling disparities faced by young men of color. He worked as a political advisor with Everytown for Gun Safety after working for President Obama’s administration and both campaigns. He started his work with boys and young men of color as a youth counselor at a boys school in Eldora, Iowa. He has served on the National My Brother’s Keeper Equity Intelligence Platform Advisory Board, PASE Boys of Color Advisory Committee, and New York State’s MBK Blue Ribbon Committee. Cyrus is joining Jaime Guzman, Burnell Holland, and a growing team of professionals with deep roots in this work to better serve MBK Communities. Help us spread the word! 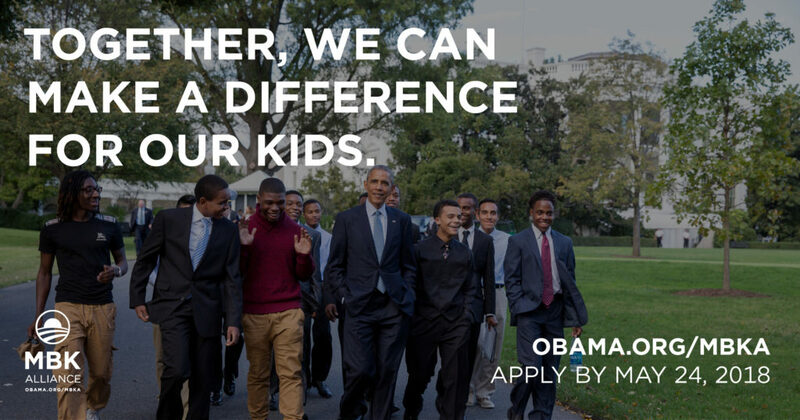 The Obama Foundation is hiring a Senior Associate, Operations and Strategic Initiatives for the MBK Alliance team. The ideal candidate is able to balance multiple responsibilities in a fast-paced environment, has a passion for managing operations (e.g. budget tracking, grants management) and demonstrates commitment to MBK Alliance’s mission of improving life outcomes for boys and men of color. Note, applications for this position close on July 3. Please pass this opportunity on to any extraordinary candidates who are passionate about making a difference for boys and young men of color. Watch for new job opportunities with MBK Alliance and the Obama Foundation. Data shows that boys and young men of color, regardless of socio-economic background, are disproportionately at risk throughout the journey from their youngest years to college and career. Join the movement to break down opportunity barriers for our youth. Become a mentor today. Sign up for updates and stay connected with us for regular updates on Facebook and Twitter.